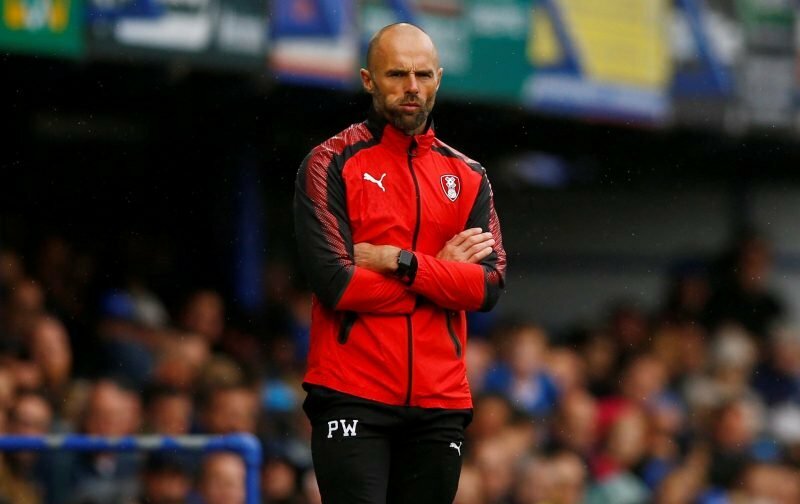 Rotherham United Manager Paul Warne thought the last minute penalty that gave Plymouth all three points on Saturday was a little dubious. Speaking after the two-one loss on Saturday the Millers Boss told iFOLLOW, ‘Will Vaulks went to ground, which is always a bit dangerous, but I thought he’d got the ball but their lad’s gone down and the referee, from his angle, thinks it’s a penalty. I don’t from my angle but it’s all about opinions. I’m disappointed on that and I don’t think my team deserved it. ‘I thought Plymouth started brightly and caused us problems in the first ten minutes but after that I thought we were the better side. It’s just a pity we didn’t take our chances when we got them. It sums it up when there goalkeeper got their Man of the Match. ‘We’ve got to learn to be more ruthless going into the play-offs. It’s easy for me to criticise the two goals we conceded but I’m as critical on the chances we missed.